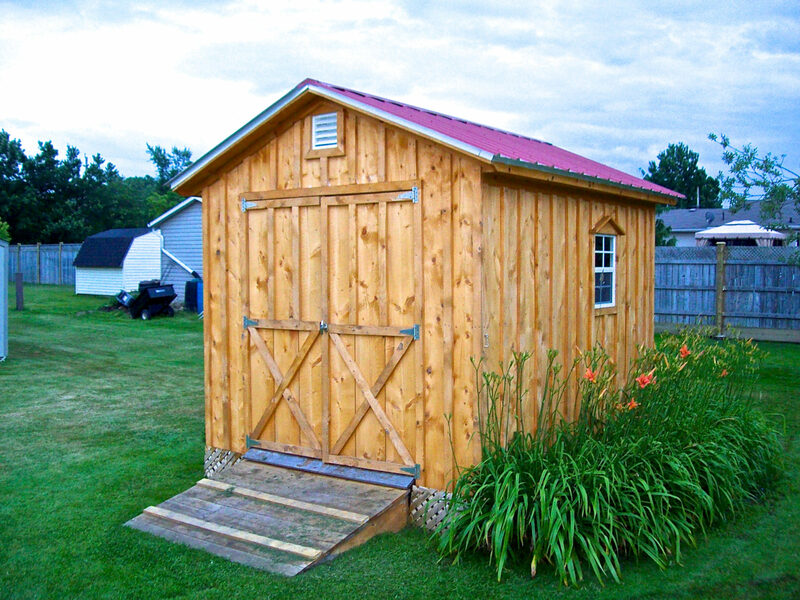 Shed Details - Amish Sheds Inc.
Building anything can be a daunting task, especially if you want it to last a lifetime. 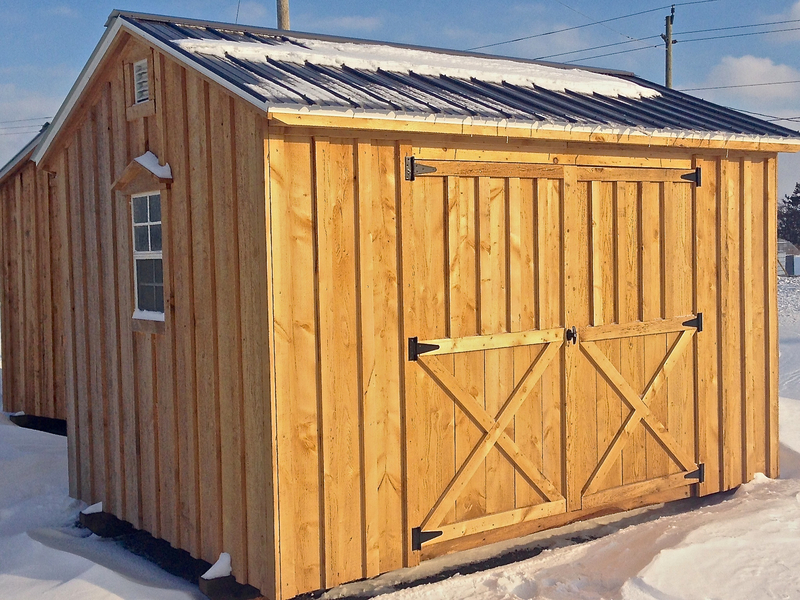 Our Amish Sheds have made building a breeze since they come 100% assembled (12’ wide sheds need some assembly, see details on pricing page). 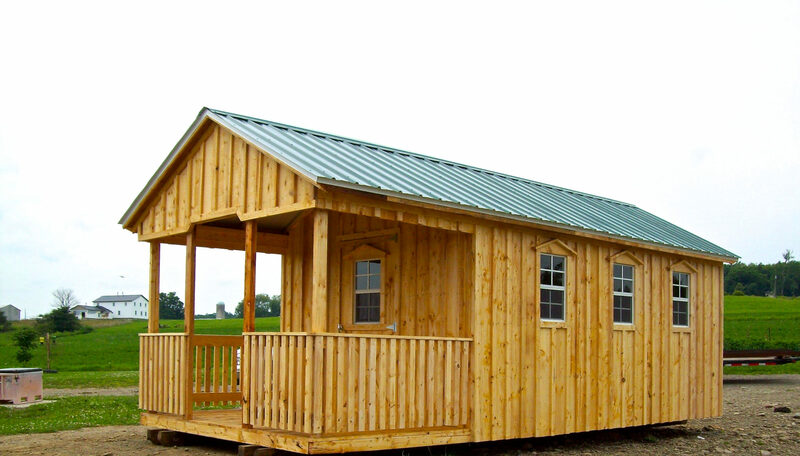 Truck access and a level area is all you need to get your very own Amish Shed. 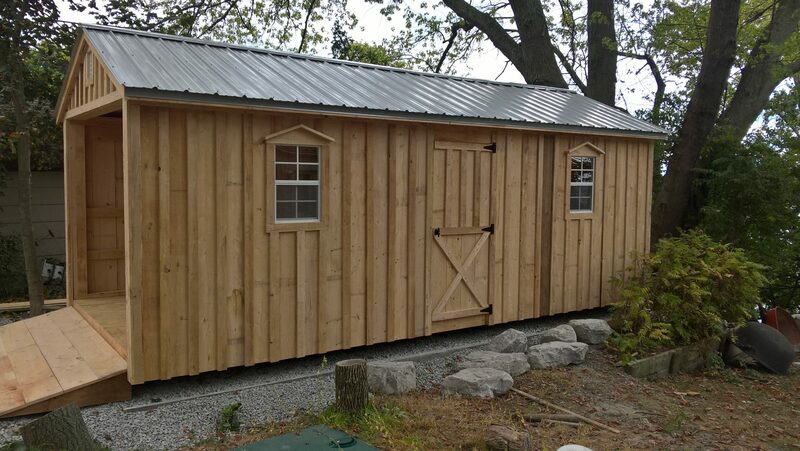 If our truck and trailer can’t make it to where you need the shed to go, our sheds can also be pulled into locations with equipment such as a large tractor, skid steer, backhoe, excavator, or even a 4x4 pick up truck. We have also craned our sheds into position. 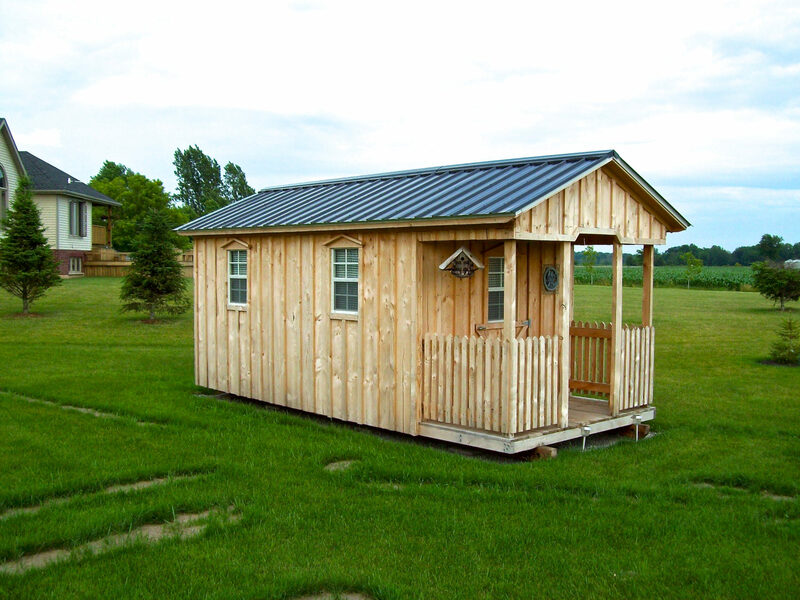 We have customers who just can’t get a fully built unit it to their location, so they opt to get an Amish Shed Kit. With a kit we don’t have the height restrictions for transportation as we do with fully built units. Wall heights can be made taller to allow for loft areas or second floors. No matter what your needs are we try to accommodate all designs. 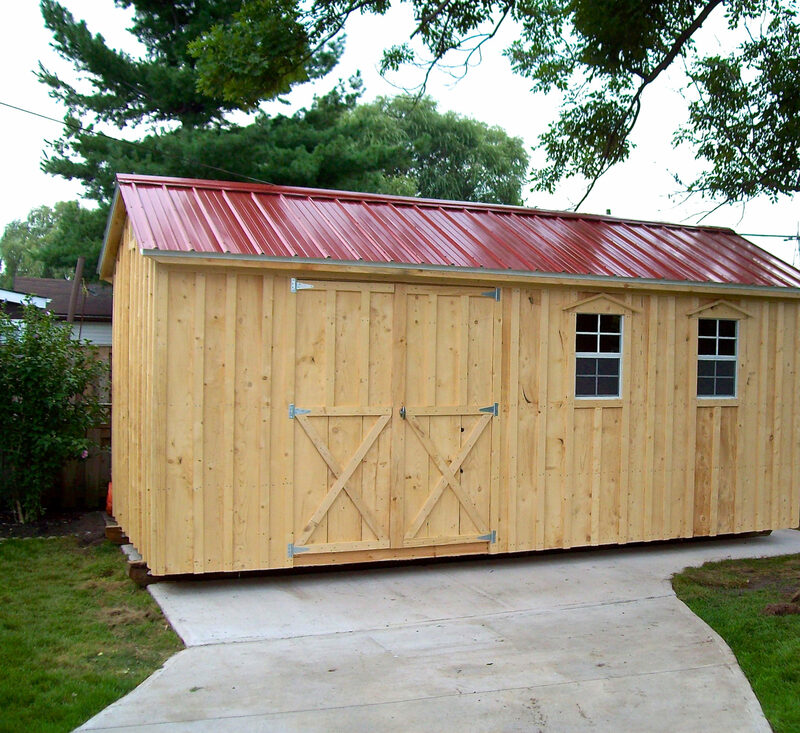 To get the maximum life from your Amish Shed we recommend a small separation from the shed and the ground that it is sitting on. For a small to medium sized Amish Shed, patio stones are all you need to set it in place. If you want to take it to the next level, the ideal base is 6” of 3/4” crushed gravel, compacted and level to the ground. 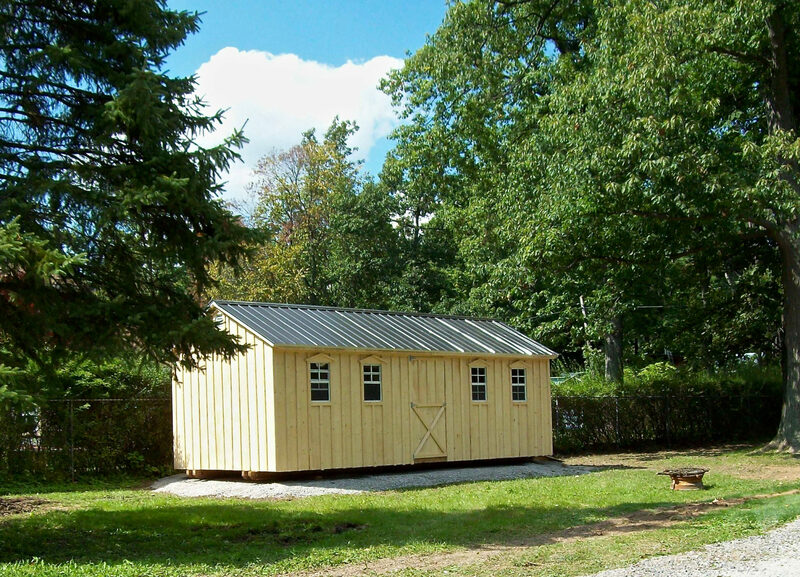 Our Amish sheds are built off the ground on 4”x7” Larch wood skids which serve two purposes. The first is that it provides the solid foundation for the sheds to be built on and gives us the ability to move the Amish Sheds around. Secondly it raises the shed the 7” so that the wood doesn’t sit on the ground and prevents its from rotting. 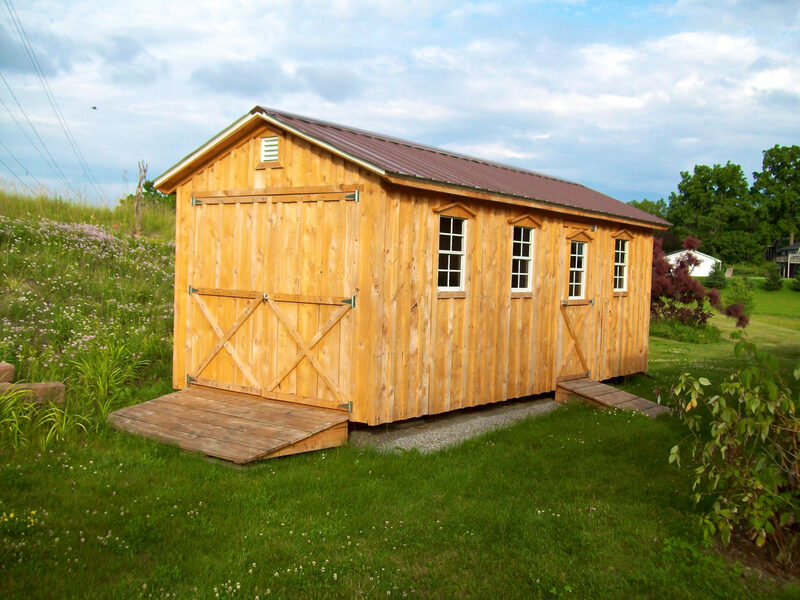 If you are in need of a permit, no problem, we can get you the documentation that you need to get your Amish Shed approved. There is a minimal cost for this as the documentation is custom tailored for each client. *NON-PERMANENT STRUCTURES *CONCRETE PAD NOT REQUIRED!!! 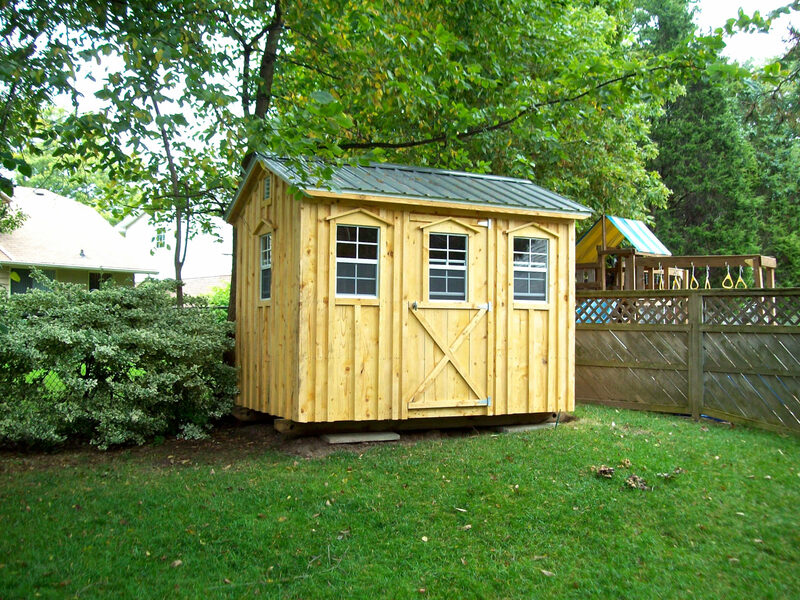 Our sheds are custom-built with 100% Hemlock Wood board and batten exterior. Hemlock wood has been used on barns for centuries. 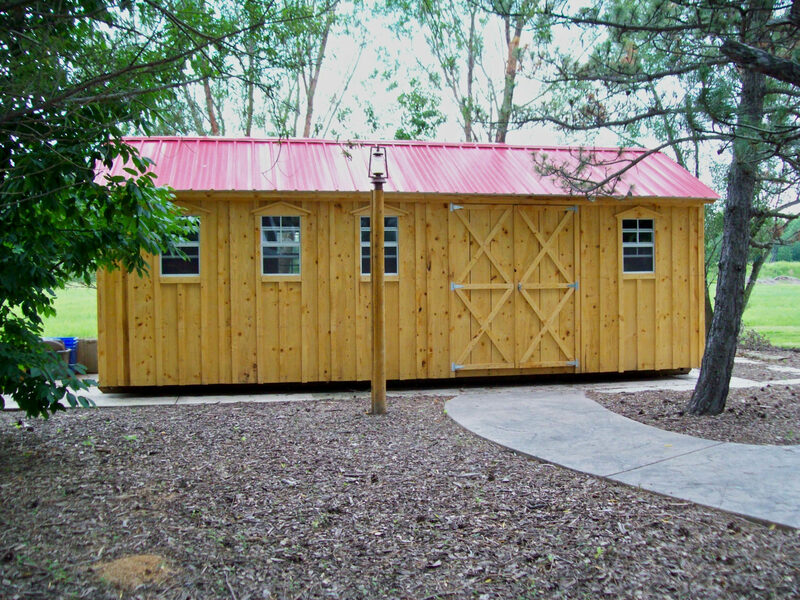 All our sheds come standard with steel roofs, lockable doors and lockable sliding windows with screens. We have an Engineer’s stamped letter stating that our sheds are 100% self-supporting, non-permanent structures that can be moved almost anywhere and do not need to be anchored down. Fun fact about Hemlock: In some Ontario municipalities, they have banned the use of pressure treated wood to be used in lakes & rivers for decks and docks due to its toxicity. They are allowing Hemlock as one of the few woods to be used. It is naturally bug and rot resistant and does not leach toxic chemicals into our precious water ways.